The Place When I can’t find time to travel for a short getaway, it is nice to know that there are some restaurants which give you the holiday vibes and Panamericana fits my bill. Located at Sentosa Golf Club at the now defunct Il Lido restaurant space, I was impressed by the sheer space of Panamericana. 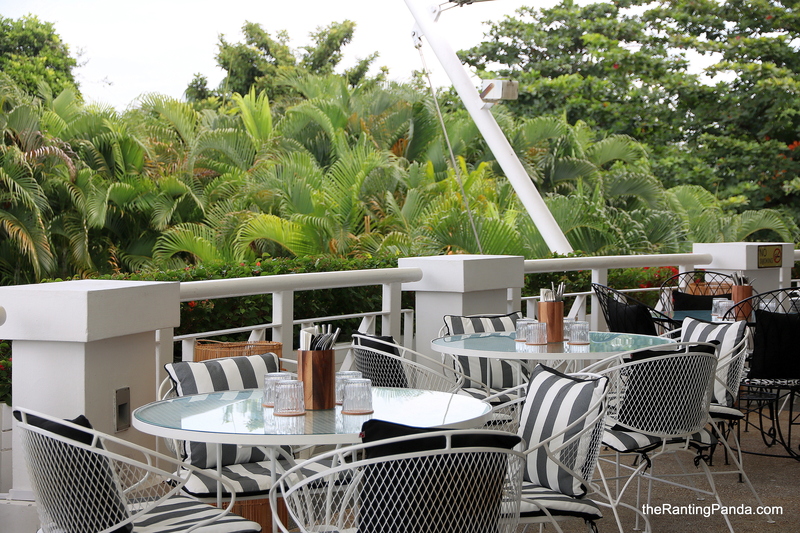 The outdoor seating overlooks the sea and golf course, while the spacious interior of the restaurant is like a chic looking interior out from Home & Decor. The Food The cuisine here traverse across North, Central and South America with a focus on its grilled meats. I didn’t visit during dinner, but checked out its weekend brunch menu instead, which is available from 9am to 3pm. We started with our Flat White (S$5) and Latte (S$5), which I wouldn’t call artisanal coffee. For mains, I had the Minute Steak (S$25), a 150g meat with Chimichurri and fried eggs. The steak itself is decent, too dry and well-done for our liking, though it is definitely much better with some Chimichurri sauce. The other mains I tried is the Mushrooms (S$17), which comes with Chunky hash, fried egg and herb sour cream. We much prefer this than the steak, and good portion size for a brunch affair too. Rants The offbeat location is a charm, yet it is inconvenient to get here without a car. Will I Return Again? The colonial chic vibe at Panamericana is charming and it is one of those dining destinations which doesn’t feel like Singapore. The ambience, not the food, is perhaps the main charm of the place – though the food does complete the experience well.